An IBIS homebuilt airplane can be built with surprisingly few tools. 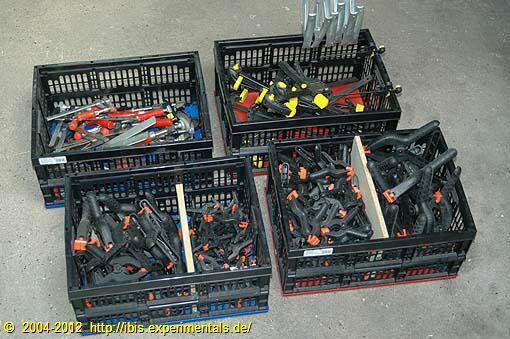 Since IBIS is a wooden airplane, most DIY toolsets will be enough to get most of the job done. This page only shows some of the tools that may not be in everyone's toolset. numbers, this is especially true for glueing clamps and any other stuff to immobilise parts while the resin cures. Taking a few square aluminium tubes and some aluminium sheet I put together this hotwire foam cutter rig. There's one meter of space between the two legs, so I will be able to cut larger pieces of foam as well. The wire will be heated by a current provided by a 24V/5A transformer. Temperature control will be though a sliding luster terminal on the cutting wire. This is a detail of how it was put together: 2cm square tubing and 1mm sheet that is used as reinforcement flanges. 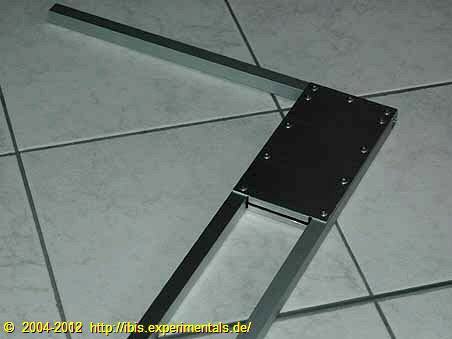 On the open end, I bent an angle into the sheet, to give it a bit more rigidity. I used standard pop rivets as fasteners. 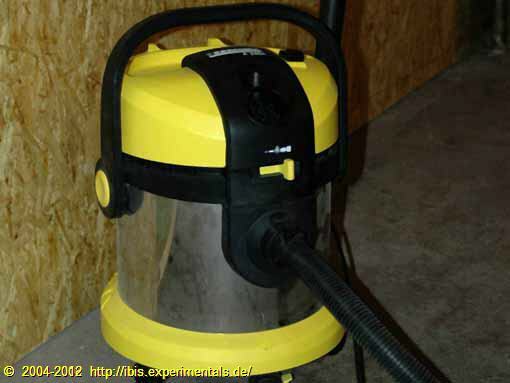 A lot of surfaces need a true planar sanding job before being glued. A rotory disc sander is the easiest way to get this job done in a jiffy. This may well be the most important piece of equipment when building a wooden airplane. 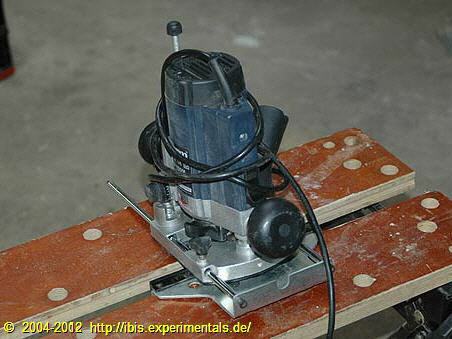 I acquired my rotary disc sander on an internet auctioning platform. This is another indispensable tool. 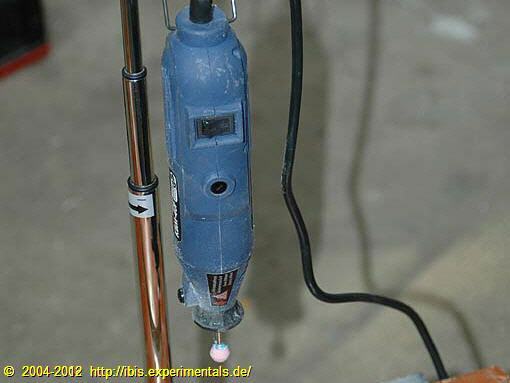 I use it to work on wood, steel, aluminium and even foam. With a large assortment of abrasive, cutting, grinding or polishing accessories, there's virtually no limit to the number of uses this tool can be put to. A group of IBIS builders - I am one of them - had their sheet metal parts cutting done in a CNC shop. 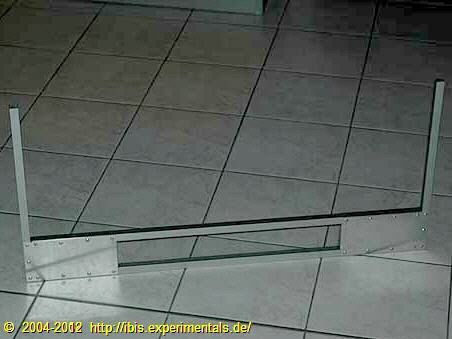 We also had rib templates CNC-cut, for both the main wing and the canard wing. Using these templates, my router is going to make it easy to reproduce the ribs with speed and accuracy. My router is a very inexpensive piece of equippement: it does not have a micro-adjustable depth setting and neither does it sport other goodies. For its price, it's unbeatable and it is sufficient for the jobs at hand. 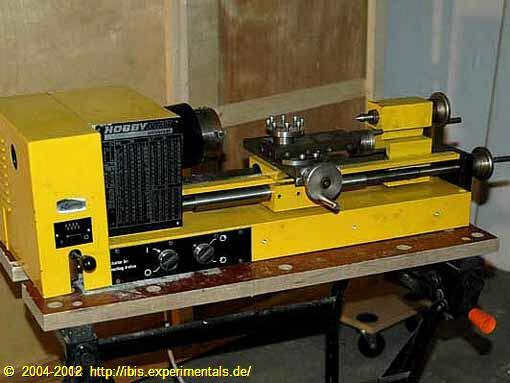 This lathe is a tool I don't own, it was borrowed from fellow IBIS builder Hans Holsink from Hilversum, The Netherlands. This tool is sufficient for the smaller items that need to be made. Only a few steel parts (wheel axes and other parts for the landing gear) need to be outsourced. Almost all other items are made of aluminium and can be produced with this lathe. 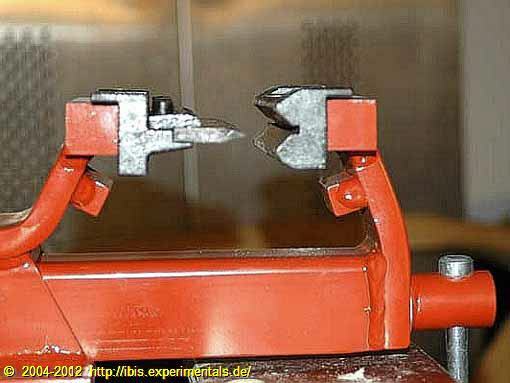 This is a small 15cm (6") bending brake that is placed inside a vise. Both parts have magnetized base plates. so they stay put quite nicely. This bending brake only allows for bends up to 90°. Perhaps for very thin material, you can can get away with a bit more than that. IBIS has some parts that cannot be worked on with this bending brake, mainly because these parts are too large and the material is too thick. Bending the brackets that are used to mount the landing gear and the main wing needs to be outsourced. 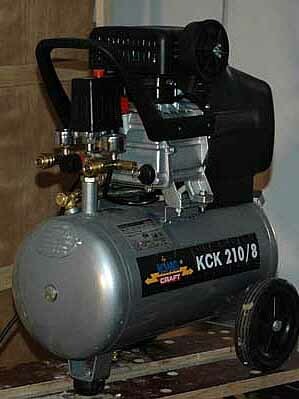 This is the compressor I bought at a DIY-store sale a couple of years ago. Since then I have gathered a few tools that are powered by compessed air. I even have a rivet gun that yet has to see some action. You don't need any of these to build an IBIS, but since I happen to have the compressor and some tools already, they're going to be used for my IBIS homebuilt airplane project. This item too I found on an internet auctioning platform. 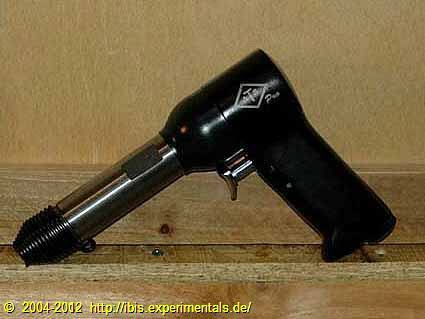 It's an ATS 4X Pro rivet gun. Do you need a rivet gun to build a wooden plane? Absolutely not, but... I intend to build the tanks from aluminium, structured much like Van's RV fuel tanks. These tanks are rivetted and sealed with Pro-Seal. Is this a tool, really? Well, I like to think it is. It's keeping my workshop tidy and that can't be a bad thing, can it?